I recently revisited Oklahoma City. Having heard that Echinocereus reichenbachii is abundant in the millions in Oklahoma, I decided to see if I could find some of these fascinating plants in habitat where they occur in many stem forms and spine colors. E. reichenbachii grows in several of the state parks in western Oklahoma, but after a bit of research I decided on visiting the Wichita Mountains Wildlife Refuge. 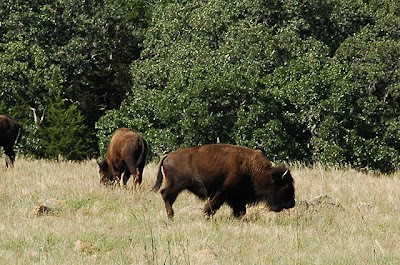 The refuge is within easy driving distance from OKC (head southwest on highway 44 for an hour or so, then take the Medicine Park exit just north of Lawton) and apart from cacti it also boasts a rare remnant mixed grass prairie, an island where the natural grasslands escaped destruction thanks to the granite outcrops rendering the land impossible to plow. 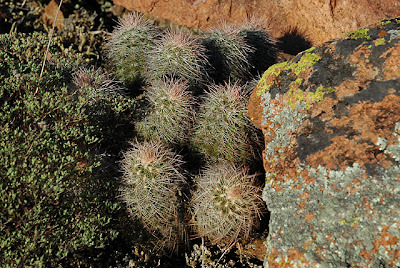 All the Echinocereus plants I found were of the variety Echinocereus reichenbachii var. 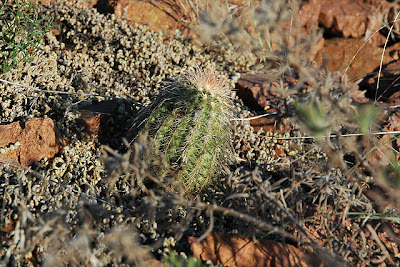 albispinus (or Echinocereus baileyi if you consider it a full species). 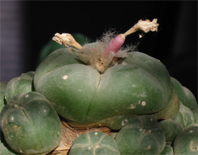 It seems like the plants prefer to grow in fissures in the granitic rock, especially if moss is also growing in the fissures. The pictured plants are growing in the open prairie grasslands south-east of Mount Scott. It’s quite amazing that most of the plants seem undamaged by the grazing herds of bison and longhorn; I would expect such a large animal could trample an Echinocereus underfoot without even noticing it, but that doesn’t seem to be the case. 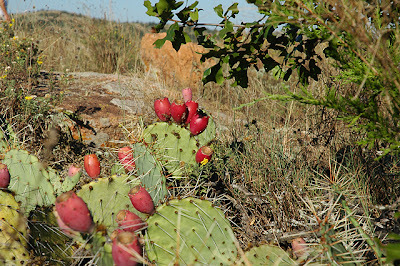 I also saw a few Opuntia plants – probably O. phaeacantha – with beautiful carmine-red fruits. The pictured plant is growing on the southern bank of Quanah Parker Lake; named for the Quanah Parker of Native American Church fame. You can find more photos from my visit at http://public.fotki.com/WichitaMountainsWR/. I wonder what would stop these bison from even grazing the cacti. In my experience cattle usually have no qualms about eating sharp things such as nettles or thorny bushes.